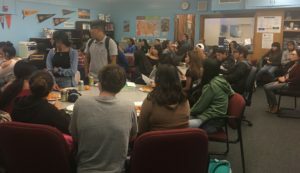 Upward Bound Channel Islands (UBCI) is a year-round comprehensive pre-college preparatory program funded by the U.S. Department of Education. 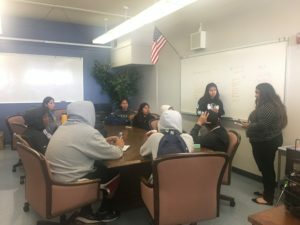 The program is designed to assist students from Channel Islands High School with college readiness & planning, career exploration, social and cultural enrichment and motivation necessary to complete high school and pursue a college education. Program services and activities are free to qualifying students. Students can even earn a monthly stipend for their active participation. Help students and families pursue federal financial aid and other sources of funding for college. Who can be in UBCI? Be a potential first generation college student AND/OR come from a home where the family meets the federal income level eligibility requirements. Refer to Federal TRIO Program chart for Annual Income levels. A U.S. citizen or have intentions to become a permanent resident. Demonstrate a desire to do their best in school and to go on to college after high school graduation. Complete and submit the entire UBCI application and its required documents. Be in school and on time every day. Check the UBCI website on a regular basis for Announcements, Calendar of events, and other activities at www.lnescoxnard.org. Attend the six-week summer academy. Download an application packet OR drop by the UBCI office at Channel Islands High School, Room 45A.